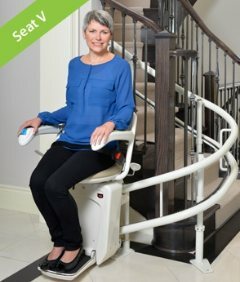 Accessibility for New England Inc installs stairlifts throughout all of New England for curved staircases. 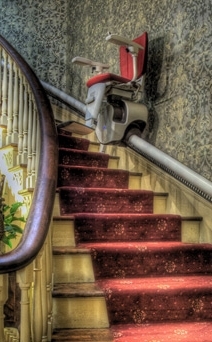 Our stairlifts attach to the stairs, not the walls which makes them safer and more reliable. 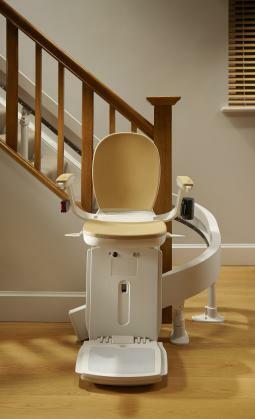 All of our models we offer are the best quality stairlifts in the industry. They are battery powered to make sure you or your loved one never gets stuck during a power outage & they all have fold away option to allow able bodied family members to navigate in safety as well. Please call us to set up a NO Obligation appointment to analyse your home and needs to make sure the correct stairlift is installed safely and promptly or click through our different models below to learn more.